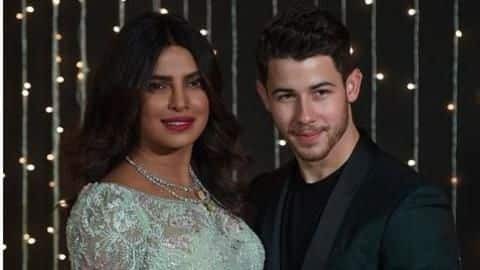 Nick Jonas and Priyanka Chopra made the cutest couple at the premiere of Isn't It Romantic! Priyanka plays a yoga ambassador in the film headlined by Rebel as Natalie, a New York City architect who works hard to get noticed at her job but is more likely to be asked to deliver coffee and bagels than to design the city's next skyscraper. The actress has been busy promoting her upcoming film Isn't It Romantic. The actress was seen arriving hand-in-hand with Nick as the two of them posed for the paparazzi on the red carpet. Isn't It Romantic stars Rebel, Priyanka, Liam Hemsworth and Adam Devine. She took to her Instagram story to share a cute video getting a kiss from Nick before heading to do interviews on the pink carpet. As it turned out, Liam was hospitalized due to illness and he could not appear for press junkets and premiere. It kind of is a coincidence because Miley and Nick were a couple during their Disney days. It is slated to release on February 13 and will begin streaming on Netflix on February 28.